Following our previous newsletter, we would like to share with you the link to our current feature in the January / February 2018 Habitat Magazine. There is still a little bit of time left to grab your copy, which is available at all major retailers. This lovely home is located along the Atlantic Seaboard. Innes Projects were appointed as the main contractor. The clients have worked closely with Roche Bobois, https://www.roche-bobois.com/en-GB/showrooms/cape-town, to complete their Interior Furnishing. We had the pleasure of working with Adam Letch, https://www.adamletch.com/, a very talented local photographer with experience working abroad. Adam, together with Kate Boswell, http://kateboswell.wixsite.com/stylist/architecture--interiors, a well-established stylist we have worked with for many years. They have done a superb job capturing the essence of the design. 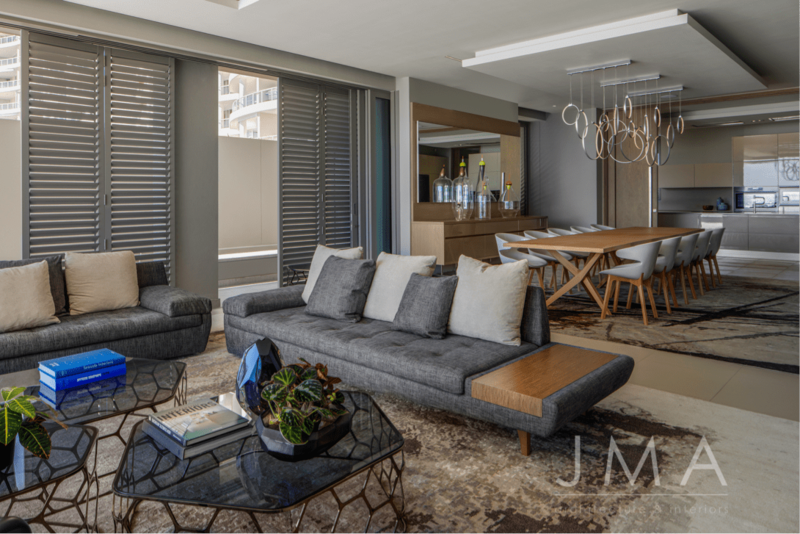 Jenny Mills: "The brief was essentially to accommodate a much larger Johannesburg-style home into a compact, practical and livable Bantry Bay getaway. Although by no means a small home, it was important that if only a few people were using it, that it does not feel empty. This meant that the customised cabinetry was designed for each specific space with multifunctional usage. It also required that the spatial planning had to be right. Unoccupied rooms were not to be noticeable and the home was to function easily with zones full or empty. The aesthetic direction reveals a modern classic with clean lines; time enduring and not subject to current trends that would date. It was to be a neutral property with an unassuming presence to blend in, rather than be a statement or landmark." More on the project can be read in the magazine.